Couponing has become a very big deal lately. If you are fortunate enough to live in a town or city that has several of the large branch stores such as Cosco, Walgreens, Dillons, and etc... and you are into couponing then you have it made. If you are like me and living in small town USA you really only have a couple of choices where you can shop and what you can buy. For the past year I watched several of my friends that live in large cities post their savings buy couponing. I had tried couponing before but got frustrated when I had a coupon but couldn't use it due to the store not offering the item, so I stopped trying. I recently participated in a webinar about couponing. I learned a lot about e-coupons, print at home coupons, and digital coupons. Being techie and trying to stay up-to-date on technology and web tools I had no clue that there was such thing as a digital coupon. As soon as the webinar ended I checked out Dillons website and there it was Digital Coupons. I thought to myself, this I can do. Since Dillons is the only story in my area with a rewards cards I didn't look at other store sites. If you are in an area and your store offers a rewards card you will want to check out their website. The 1st thing you have to do before you can start loading coupons on your rewards card you have to register your rewards card on Dillons website by creating an account. This only takes a minute. 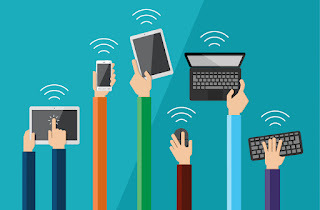 Once you are done setting up your account you want to stay on their website logged in. On their website you will see a tab for "In Store" hover over it. Click on "Coupons". 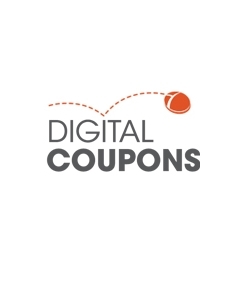 You will get a choice "Digital Coupons" and "Print at Home Coupons". Click on the Digital Coupons. All of the available coupons will appear. Look over the coupons if you find a coupon you think you will use you click the box and check mark "Select Coupon". You do need to be logged into to the website for this to work. Once you have selected all the coupons you would like to use. You need to click on the button "Load Coupons to Card". You do have to wait at least 10 - 30 minutes before the coupons will be loaded to your Dillons reward card. After you have your coupons loaded you head to the store do your shopping, don't forget to present your rewards card at check out. As you are checking out just watch the savings just roll out automatically. On my 1st try of digital couponing I did save $20. 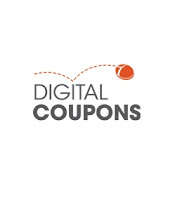 There are other websites and apps that also offer digital coupons. If you choose to use those just a heads up. The coupons you load to your Dillons card from the Dillons website will be used first or any in-store savings will be used first as well. If you choose to use an app to find digital coupons you will have to enter your rewards card number during the set up of the app for it to load the digital coupons onto your rewards card. I am saving the other websites or apps that I find that offer digital coupons on my Couponing Board in Pinterest feel free to follow it.